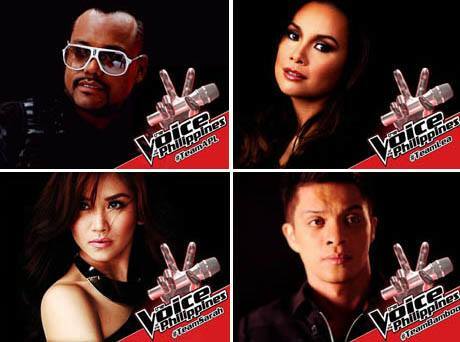 In lieu to the Voice of The Philippines 2013 revealed the results on August 17 2013. All judge was fair and square when it comes to judging and choosing who will remain in the next round at that night of August 17. These are the names who completed the team and advanced to the next round - Corazon dela Cruz, Don Michael Perez, Klarisse de Guzman, and Radha Tinsay. There was no breaker this time as the judges rightfully choose who truly deserves to be still in competition of this Voice PH episode. It was Bamboo who made the right decision of choosing Talia Reyes. While Sarah chose Maki Ricafort to stay with her inthe next round. Lea let RJ Dela Fuente be in the next episode and Apl chose Jessica Reynoso to be still with him. Although the choices and votes that the judges made was not perfectly decided but at least they made the right choice of picking their artist to be with them for a while. Sometime they can't judge so easily that they would think so many times before proceeding their decision of who among those artist would stay. You may watch the video replay and highlights of August 11 2013 - Voice of the Philippines 2013. Other Voice PH fans were sad after knowing that their contestant artists were not voted and was eliminated in these August 11 episode. Juvie Pelos who was the heavily favorite who sang the epic song during her Voice Philippines edition also eliminated in this episode. Guess what? It was not her type of song to play with. They were all good and had a great voice but thinking of choosing the right song for to sing with has the biggest factor in this level of competition.